Darn, too slow! This Jabali has already gone! Nice little Spanish 20 bore. Made by "Jabali". Good condition, 28" barrels, chequering in very good condition with very few marks. Bluing is in good condition and it has some nice engraving on the action. Tight on the face with no pitting or damage to the barrels. 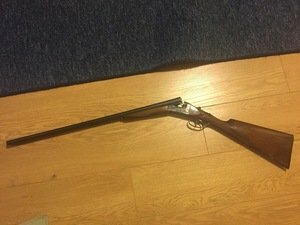 Open to offers as I'm moving house soon and a change in circumstances means I cant take my guns with me.